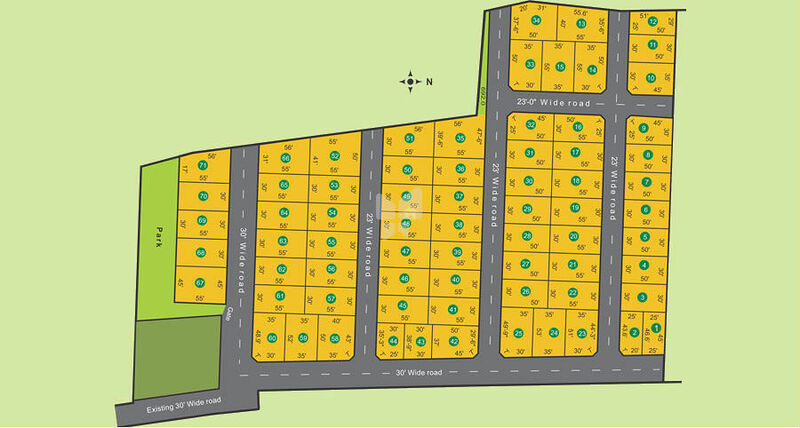 Saaral offers well defined plots set amid nature's plenty in an environment of peace and comfort. The location is truly breathtaking. Framed by rolling hills and lush greenery all around, you would certainly love the salubrious climate and the bounty of nature that is for you to partake of. The property if fully enclosed, safe and secure and has all the basic amenities to make life easy. The roads are well defined, electricity lines drawn and individual pipes laid out. Street lighting is also provided and the children play area designated. All you need to do is build your home just the way you want it. Just 12 Kam from Gandhipuram Bus Stand. 7 Kms from Kumaraguru College of Technology & KGISL. Very Close To Avinashilingam University for Women Monarch International School Dr.P.G.V Matriculation Higher Secondary School Yuyabharathi Public School. Thai India Promoters & Developers (P) Ltd is one of the leading property developers in Coimbatore. It was formed in early 2011 with the aim of building affordable and proper housing structures. We have built our reputation through our commitment, honesty, hard work and extreme quality. Thai India is promoted by people with wide experience in the field with some very credible projects to their credit. Our projects are generally located in prime positions close to the city. We have a highly experienced team who are expert in providing best real estate services to the clients. Our reliable, talented professional and well experienced team work with dedication towards developing spaces for you that are safe to live in. Customer satisfaction is our ultimate goal. We are a customer oriented company and we believe in putting in our best foot forward in our journey to the pinnacle.